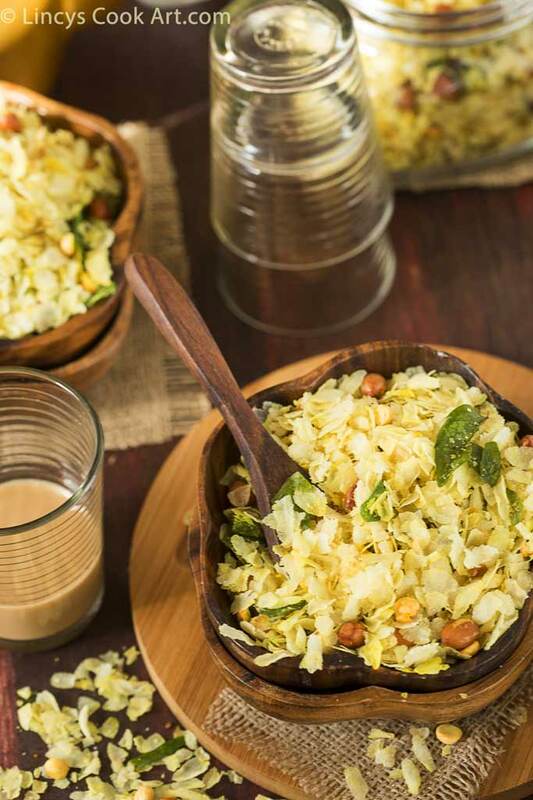 Poha chivda| Poha chiwda is an easy to prepare snack|namkeen at home with in minutes. It is crunchy and tastes awesome. Perfectly suits with a cup of steaming hot tea. It is healthy as it has no deep fried items there. Tasty healthy home made snack in minutes!!! I learnt this recipe from my North Indian neighbor Swagatha 5 years back. She often prepares this snack at home. I got a chance to taste this and i loved this tastes similar to mixture. When compare to mixture it seems healthy as there is no deep frying process involved. 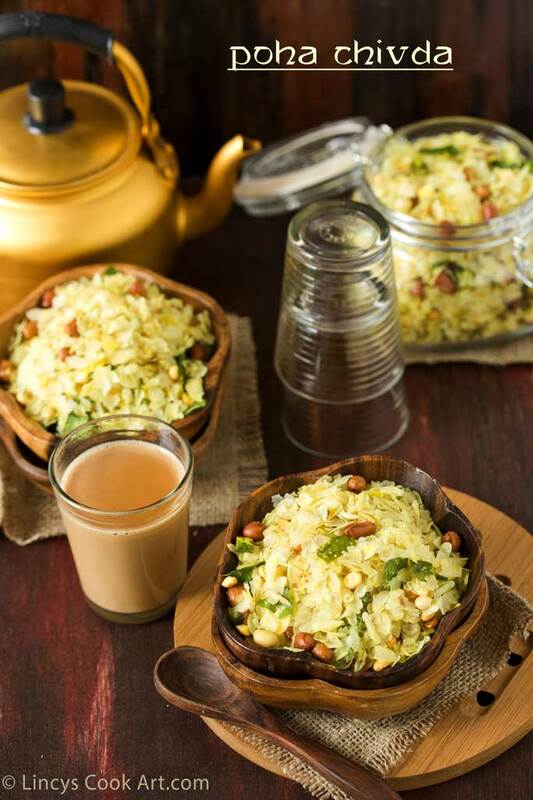 I love to prepare this with thin variety poha. In a wide pan roast the poha in low flame till it becomes crispy. If you use thin variety it becomes crispy and light like a paper. The colour of the poha should not change. Heat oil in the pan and add the mustard seeds and ajwain allow to crakle. Now add the cut green chillies, curry leaves and peanuts; roast in medium flame until the peanuts gets golden colour. Now add the roasted gram dal and roast for fifteen seconds in oil. Add the asafetida and turmeric powder and cook a second to leave the raw flavour of turmeric. Add the sugar and salt accoding to your taste. I like sweet and salty balance. Finally add the roasted poha and mix well till the colour of the poha gets yellow and every thing mixed together and becomes crispy. Notes: You could add some cashewnuts and coconut pieces too with peanuts and roast for richness in taste.